Join us for happy hour on the mezzanine with cocktail expert, Kara Newman, and local distillery, Brothers Vilgalys Spirits. 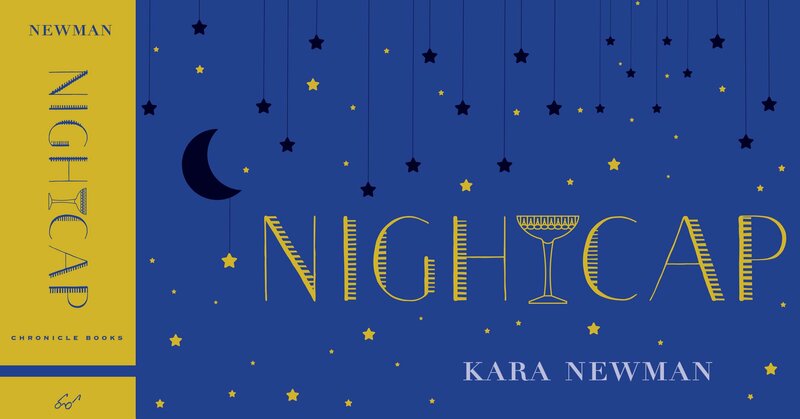 Kara will be collaborating with Rim Vilgalys, founder of Brothers Vilgalys, and The Durham’s head bartender, Kevin Coe, to shake and stir up a specialty drinks menu inspired by her latest book, Nightcap. Kara’s recipes cover all your beverage bases: some to keep the night going, some that will help ease you to sleep, some that can double as dessert, and some that can soothe the stomach after a hearty meal. Learn all about the history of your favorite end of the evening tipple and get an insider insight into fine art of mixology. Plus, enjoy a tasting with Brothers Vilgalys unique range of Lithuanian-style liqueurs, from their staple spiced honey Krupnikas to the striking botanical flavor combinations of the Jabberwock, Beatnik, Zaphod, and Beebop! Our friends at Flyleaf Books in Chapel Hill will have copies of Kara’s Nightcap for purchase (and Kara will be on hand to sign books). Kara Newman is the contributing Spirits Editor for Wine Enthusiast magazine and the author of several books, including Shake.Stir.Sip., Road Soda, and most recently NIGHTCAP: More Than 40 Cocktails to Close Out Any Evening. Kara has written for a variety of publications, including the New York Times, Saveur, Imbibe, Slate, and the San Francisco Chronicle. Check out some of her latest reviews, trends and predictions for the distillery industry here at liquor.com. Brothers Vilgalys Spirits started in 2012 to bring Krupnikas, a traditional Lithuanian-style of Spiced Honey Liqueur, to the American market. Their recipe started on a stovetop at home as a special drink for friends and family. They still make it the same way, using only whole spices, North Carolina wildflower honey, and pure grain neutral alcohol. In 2015, Brothers Vilgalys released four new liqueurs called Zaphod, Beebop, Beatnik, and Jabberwock flavored with whole botanicals, herbs, and spices. Check out the Brothers Vilgalys website to learn more about tours and tastings at their mini but mighty production space in downtown Durham.